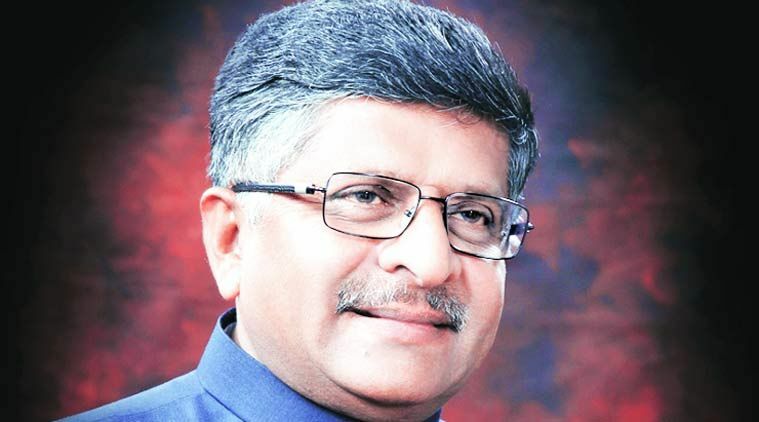 NEW DELHI: The data protection law that is in the works is likely to be in place by December and it will comply with the Supreme Court's judgement on right to privacy, minister for law and IT Ravi Shankar Prasad said. The law, being drafted by a panel headed by retired Supreme Court Judge BN Srikrishna, will answer a majority of the questions which have arisen post Thursday's judgement that declared privacy a fundamental right, Prasad told ET. "I hope to see the law in place in the coming three-four months." The panel will conduct "the widest consultation with the stakeholders" and will come up with "a robust mechanism where there can be a fine blend of data availability and data safety, security and privacy", he said on Friday. The Supreme Court declared the right to privacy a fundamental right, but said it is not an absolute right and will be subject to "reasonable restrictions". The court in its judgement acknowledged the formation of the Justice Srikrishna committee and said data protection is a question of complex and detailed rules, which will have to be outlined by the data protection framework. Prasad said the court has outlined that there has to be a balance between the right to privacy and the need of sovereignty, investigation and distribution of welfare to the poor. Also, the needs of India's digital industry, which has the potential of becoming a trillion-dollar economy, have to be considered while acknowledging the establishment of privacy as a fundamental right, he pointed out. On being asked if the stringent privacy requirements could scuttle innovation happening in the country, Prasad said: "I am happy that the court has marked innovation as an important criteria where reasonable restrictions can be applied." The judgement has raised questions about the data handling and processing practices of not just government agencies, but also private companies such as Uber, Google and WhatsApp, along with the country's young startup industry. UIDAI's Pandey said the proposed law should provide a very robust data protection framework, "but at the same time data should also be allowed to be used for innovation". Citing observations of Justice DY Chandrachud — one of the judges on the nine-member SC bench that pronounced the order— he said in this age of information technology, you have to use data for data mining and several other things, said Pandey. Another member of the committee, who wished to remain anonymous, said they will work under the broad framework of the judgement now. "Rules will be around how data can be shared, whether data can be shared at all, how long it will have to be stored, etc. These are decisions the court has left for the committee. I am certain that this law will be drafted rather quickly," said the official.